Best taxi booking service, cab booking for local and outstation travel by TGP tour and taxi, Patna. Hire lowest fare cars like Tata Indigo, Scorpio, Maruti Ciaz, Toyota Innova, Ford traveler or any luxury car for your local or outstation business or family tour or holiday trips. We can guarantee the cheapest fare for all local and outstation cab booking with us and assure you the best taxi service in Patna, Bihar. Our cab drivers are well trained and experienced as well as non alcoholic. They are properly verified by our management before hiring which ensures you the safe and tension free travelling. You must have been travelling locally or outstation for your business meetings or family holiday trips or with friends for picnic etc. 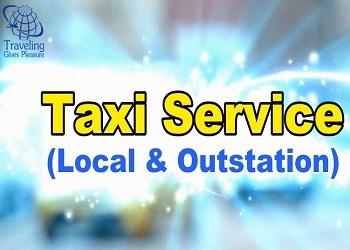 If you don’t have your own car, then you need a taxi / cab service in Patna. You might have booked various cars or cabs so many times. Now we offer you to book a taxi / luxury car with TGP tour and taxi in Patna and you will feel the difference. We offer the lowest fare on all car bookings with extra ordinary pick and drop service. You can book a taxi or cab online from our cab booking portal. We introduce our self as the No. 1 and one of the best tour and Travel operators in Patna Bihar. We are popular as best car rental service provider in Patna. If you are looking for budget car rental in Patna then we are the best choice in Patna. We have wide range of options of cars depending on your budget and preferences. Our mission is to provide professional and quality services to our customers. Our main purpose is to make you feel safe on Indian roads. Our regular vehicle check up service ensures comfort and hassle free travelling.